Yay! Let's turn the clock back, way back to 1982 and the days of the Atari 2600! Cosmic Ark is remake of Imagic's sequel to Atlantis, a cute little game in which you warp from planet to planet abducting aliens in pairs for your intergalactic ark. Whether this is to protect them from an impending supernova or just for giggles is never really explained, but hey, this is a conversion of an Atari 2600 game and they never really did go in for in-depth game plots back then. 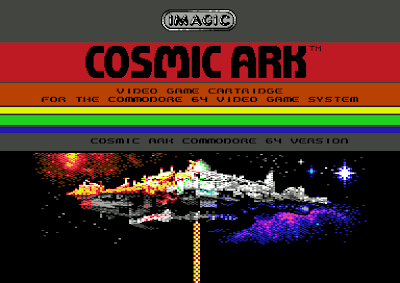 This cartridge version of Cosmic Ark almost didn't happen - the game was coded 100% in the VICE monitor and Max had to employ the help of Dr. Martin 'Enthusi' Wendt in converting the game to the correct format (a task that he initially claimed was "practically impossible", but then he ended up emailing in a copy two days later anyway). So, a troubled release, but Cosmic Ark got there in the end! 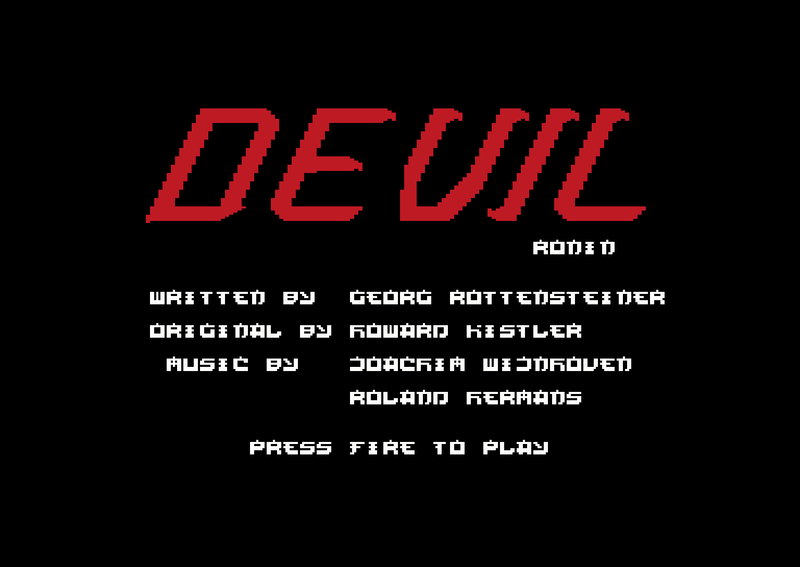 ...The C64 version of Devil Ronin is actually demake of a PC game that was a remake of a fictional C64 game. Confused? Don't worry, all you need to know is that Georg's entry is an arcade hybrid of platformer and shmup set in Japan, with our hero battling both mythic monsters and the human armies that serve corrupt lords aligned with the Demon Shogun. 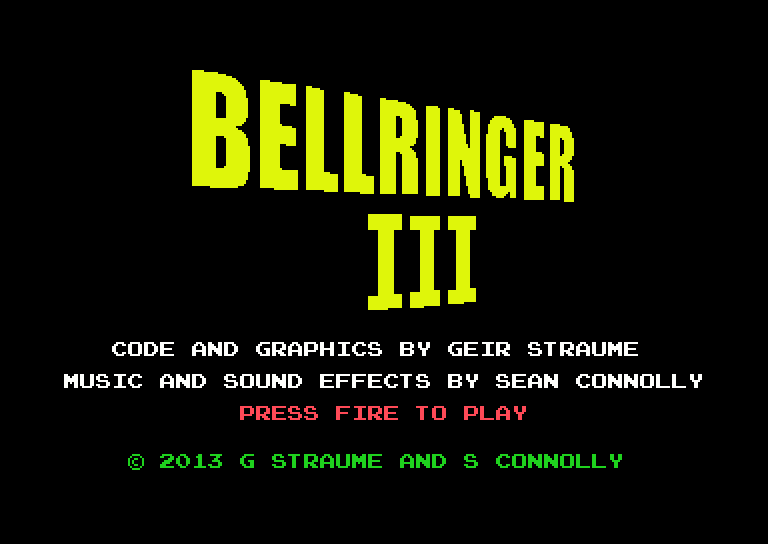 Another game that almost didn't make it, Georg had only 900 bytes of free space left when he sent out a last minute request for music. Thankfully, sceners Neo and Yogibear came to the rescue, wrapping up the game just in time for the deadline. Phew! 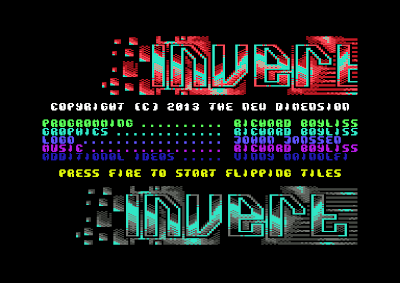 The illegitimate lovechild of Sensitive and Crossfire, Richard Bayliss' Invert game involves flipping tiles whilst avoiding fire from border-dwelling nasties. 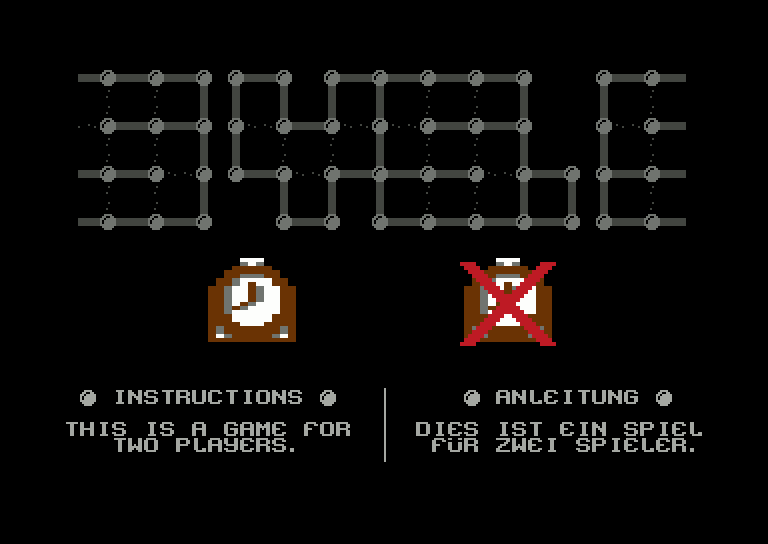 Oh, and there's a timer too, just incase that was not enough of a challenge. There's some nice ideas here and it's great to see another finished game from Richard and The New Dimension. Well worth checking out. 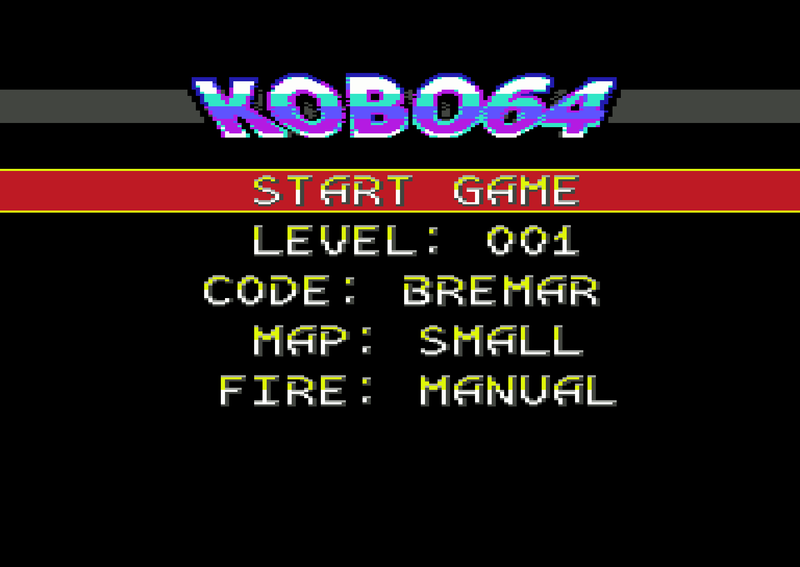 A demake of Kobo Deluxe/XKobo, an Bosconian-style open source 8-directional shooter, Kobo64 is quite an amazing achievement. The original was reknown for its brutal difficulty, almost bullet-hell gameplay and procedurally generated levels - all of which survived the conversion intact. 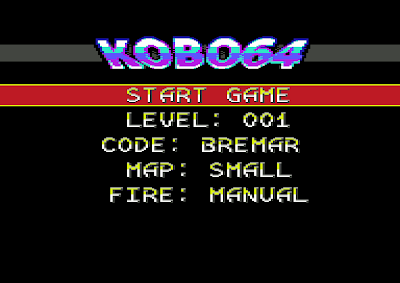 Like the original, the insane difficulty is countered by a neat little password system, and the GS-friendly full-joystick control makes Kobo64 a great contender for a future cartridge release. This one is a real treat for both fans of Kobo Deluxe and newcomers alike. 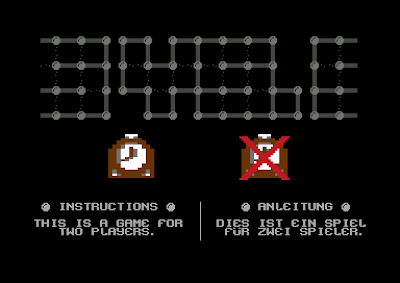 Essentially a two-player (only) computerised equivalent of that age-old paper based game 'squares', Linus Vs Simon was developed by Simon Quernhorst as a gift for his six year old son - a C64 game for them to play together. 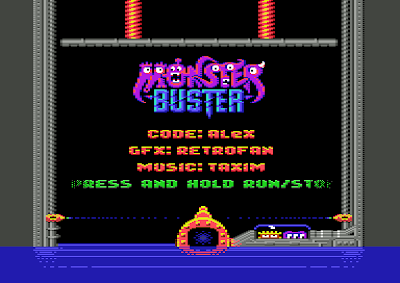 The timer that forces the player to make quick moves, adding an element of pressure, and the animated title screen features an amazing track by Drax (the musician who scored the excellent Sub Hunter OST). 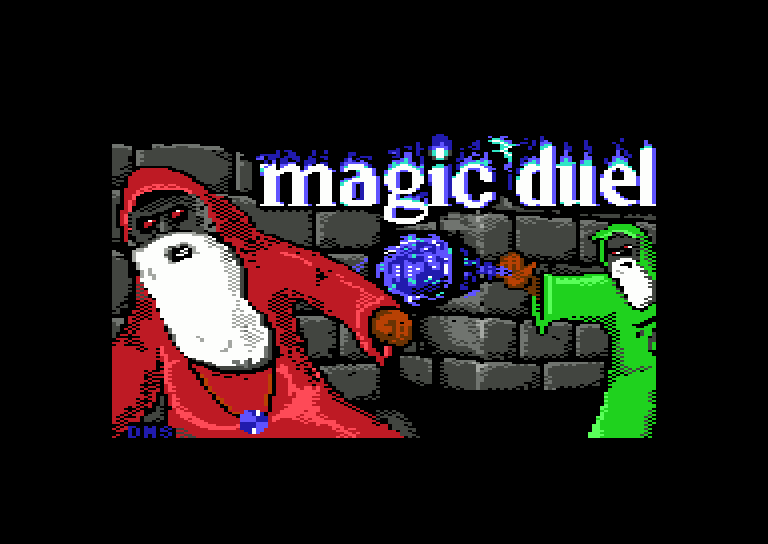 More two-player (only) chaos awaits you in Magic Duel, with two wizards duking it out tournament style in a variety of randomly selected single-screen arenas, collecting power-ups hidden in destructible blocks, avoiding hazards and hurling balls of fiery death at each other. 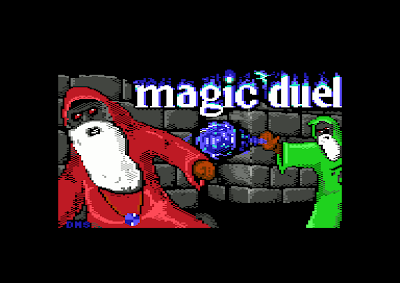 (Note that the joysticks in Magic Duel are set with player one as port one, instead of the usual port two). Paul Koller and Mikkel Hastrup strike back with another killer conversion! 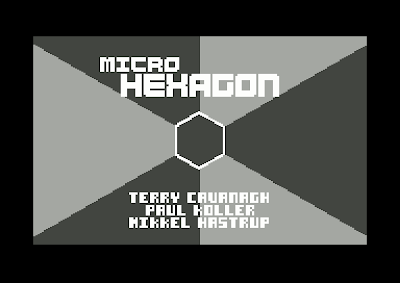 Technically stunning, Micro Hexagon screams out "THIS SHOULD NOT BE POSSIBLE ON A C64" - and even with the limitation of only five wall pieces on screen at once it still maintains a reasonable level of difficulty thanks to the solid 50HZ gameplay and a neat stroboscopic effect that kicks in after a few introductory phases. 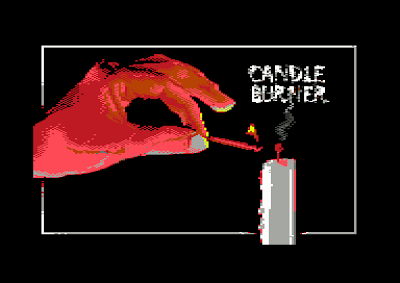 It doesn't compare to the brutal nature of Terry Cavanagh's original, but it's a great 8-bit tribute nonetheless. Jackasser on CSDB described it as 'a demo part come alive', which is pretty spot on. 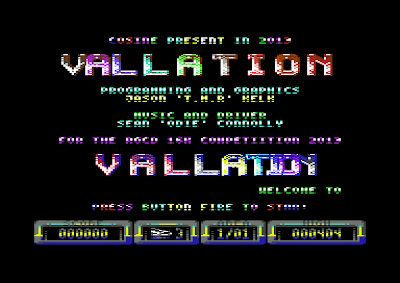 Paul may have won over the demoscene, but can he win over our judges? p1x3l.net kept pretty quiet about this one, sending it through in the final hours of the compo. In case you hadn't already guessed, it's Bust-a-Move/Puzzle Bobble with monsters instead of bubbles, gorgeously presented with multiple game modes and a killer soundtrack. Plans are afoot to bring the game out on a 64KB cartridge (complete with extra features) in the near future, but in the meantime you can play this 16KB version gratis. Supports paddles as well, but not if you have a dualSID chip. 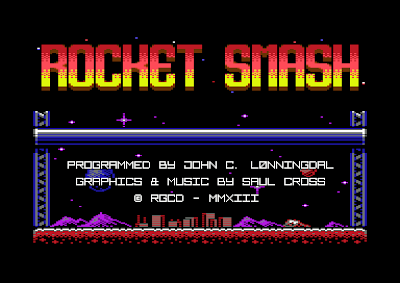 A debut game from Amiga veteran Lazycow (AKA Matthias Bock) and tracker musician Cyborgjeff. I used to play Lazycow's games on my A1200 in my teens, so it has been a real honour working with him in the compo this year - although it did make me feel bad about never paying those shareware fees all those years ago! 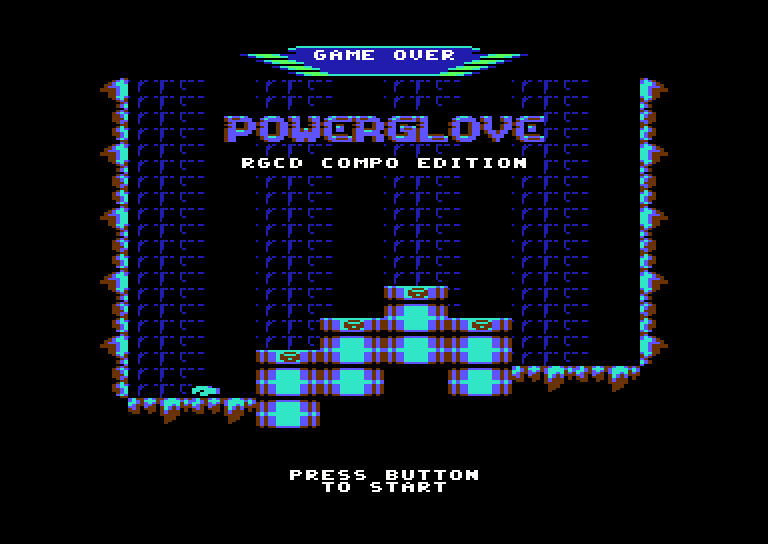 Anyway, so Powerglove - a metroidvania with over 100 rooms and 4 levels, squeezed into 16KB. This one really plays like a modern indie game, with inertia, believable physics and tonnes of ultra cute robots for your megaman - I mean powerglove wielding hero - to shoot at. 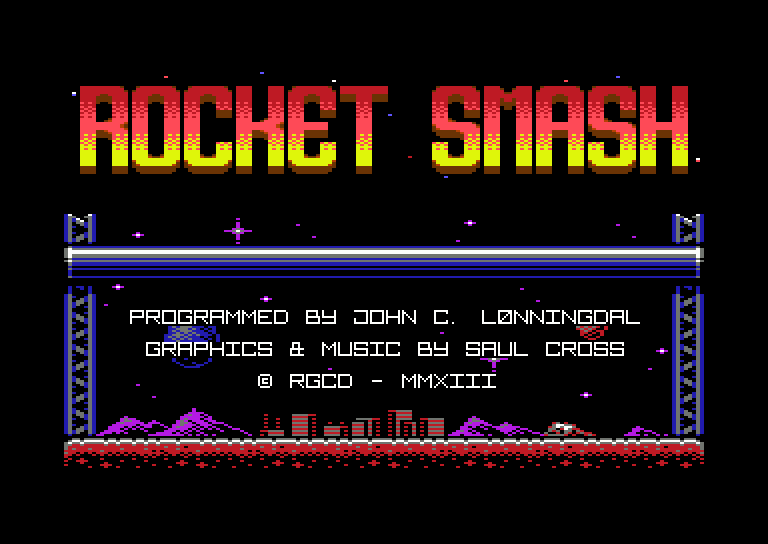 It should be unsurprising to hear that there is also a PC version in the works (as well as a retail C64 cartridge build with a fifth level and bug fixes) - but until then, make sure you check this one out if you want to see what newcomers to the C64 scene are bringing to the scene. 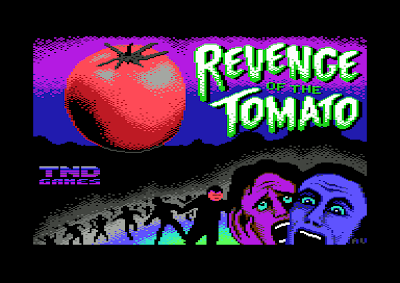 Another game planned for commercial release through RGCD and Psytronik, this 16KB version is basically the 'endless' mode from the full game, lacking the story, cutscenes and other bells and whistles. It should have already been out by now, but there are still a few minor tweaks needed for the final, and John has been busy with real life stuff recently. Hopefully the feedback from players will provide him with the motivation needed for that final push! Entered at the start of the competition as an already complete game, S-Blox is a an open source tetris clone by Payton Byrd/King Durin of Avatar. Again note that the joysticks here are set with player one as port one, instead of the usual port two. 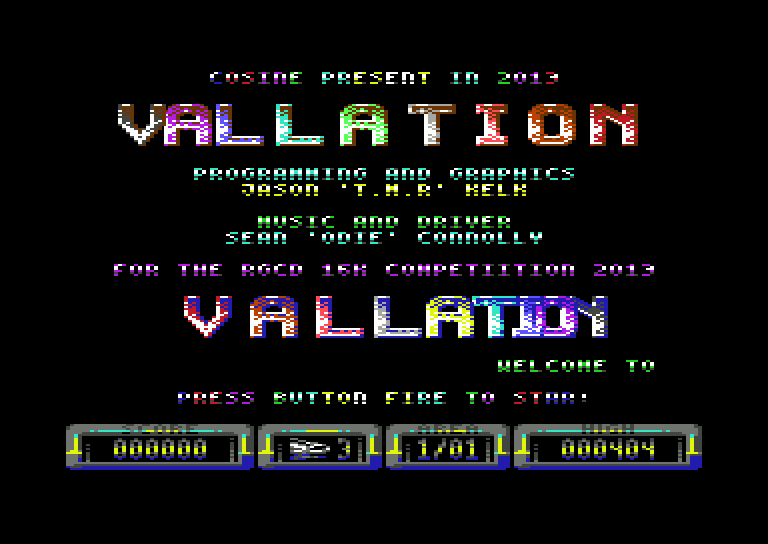 Vallation was another game that was sent through in the final hours of the competition, with Jason fighting against the clock to squeeze a third level into an already pretty-much action packed game. With over 70 rooms, beautiful graphics and an excellent soundtrack, this Cyberoid style game has the player attempting to escape from a space pirate base whilst taking out as many of the vile scum as you can. Another game planned for future expansion, Jason recently explained that the three levels on offer here will form the first 'world' (of several) in a future 64KB game. Well, that's it for this year! The vote sheets will be sent off later this week and if all goes to plan we'll have the final results ready to announce in time for the new year. Join us in having a beer and lets collectively raise our glasses to all the entrants who managed to beat the deadline! Good luck! Just played Micro Hexagon and it's awesome. I'm crap at it and not sure how it was done, but love it. I must try out all the other entries now. Some awesome entries again this year! 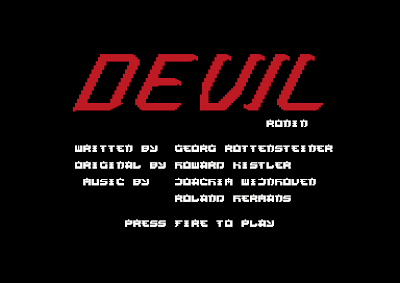 I just noticed that I completely forgot to add a game description to Devil Ronin. You must fight your way to the top left part through different enemies. These are randomly shuffled for every game. There are 10 castle screens and 4 bonus story pieces where the player is rewarded with extra armour or health or an extra life. Can you defeat the Shogun Oni? Kobo64: If you haven't got any joy use "IJKL & SPACE". Bug in Bellringer 3. main sprite gets stuck in scenery. Hi Geir. I'll have another play at it and see if there's a pattern, or if it's random. main character falls 'into' the platform he's walking on and can't be moved thereafter. Played through a section of the first level about four times, and twice got stuck. That apart, it looks like a great wee game. Thanks! That was very useful information. It actually sounds very similar to a bug which was discovered and fixed some time before the final .CRT version of the game was completed and submitted (I was unable to reproduce that particular bug after the fix). Had one quick play through level 1 to the bells section and no problems. Maybe a random issue, but definitely something going on in there somewhere. This bug has now been reproduced and fixed, thanks to a screenshot from user "hammerhead" in the Lemon64 forum. A new version of the game is available here. 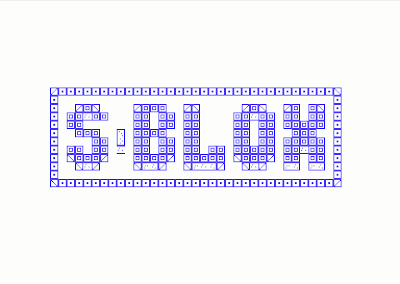 Kobo 64 is definitely my fav... and music from S-Blox :]. Great entries, great work guys! Wow! Those games look very good. The graphics are so cool that I really want to try them out. And it looks quite diverse, too. Yeah, so I may go and get the new PS4.. but right now this looks more exciting.